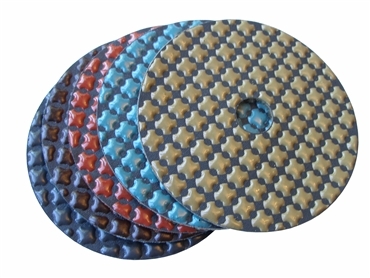 This 4" dry diamond polishing set includes 5 pcs - step #1, #2, #3, #4, and #5. Newly developed matrix allows 5-step polishing instead of traditional 7-step. Time and money is saved by skipping steps. The pads are Velcro-backed and color coded.